Editor’s Note: This is part one of a four-part Finger Lakes report, compiled over several visits Mikhail made to the region last summer. My interest in the region was sparked years ago, especially since riesling has always been my favorite grape. 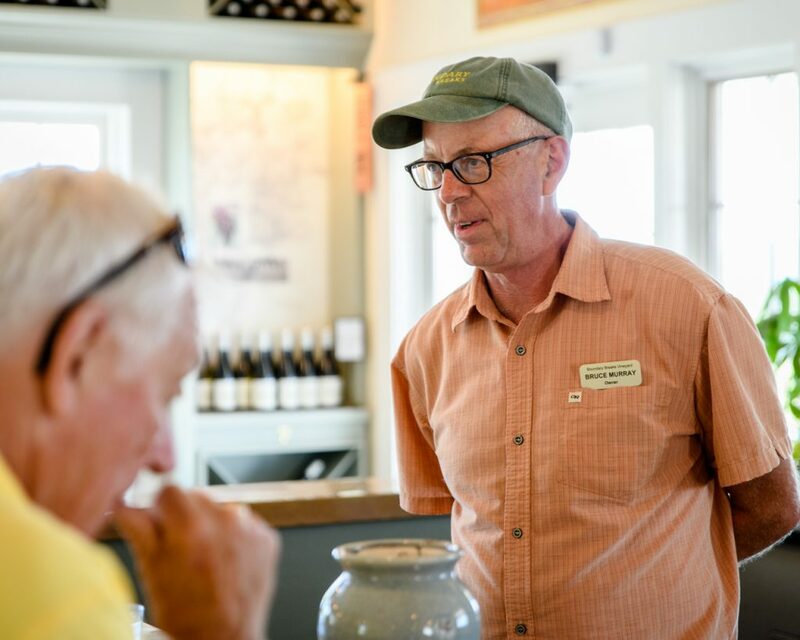 However, in the last few years, as I began to visit the Finger Lakes and discover the people as well as the wines, I have come to understand it better. It is a unique region, known for its “lake effect” – the moderating effect of the Finger Lakes on the temperature and precipitation levels of the area. The effect allows for a warmer temperature in the winter, thus protecting the vines, and cooler temperatures in the summer. It is still a young region, with much potential for discovery. From the wines I have tasted, I find that riesling does best from the white grapes, although sparkling wines, both from chardonnay and pinot noir, have bright, crunchy acidity that makes them quite refreshing. On the other side of the color spectrum, pinot noir has potential. 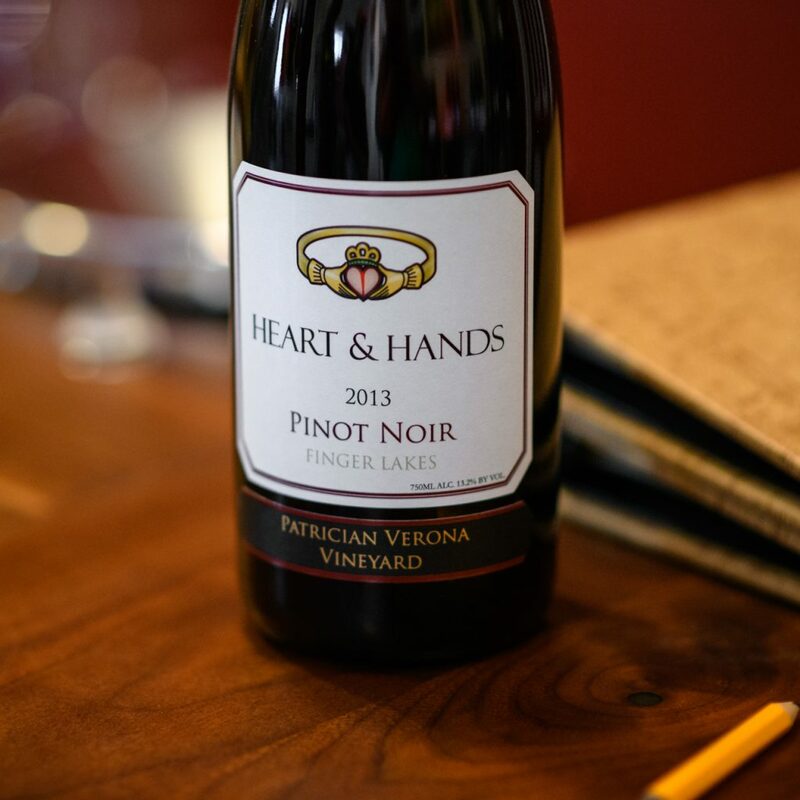 It is not an easy grape to grow, in any climate, but when done right, Finger Lakes pinot noir is earthy, full of cranberry and pomegranate tones, and shows the potential for development. 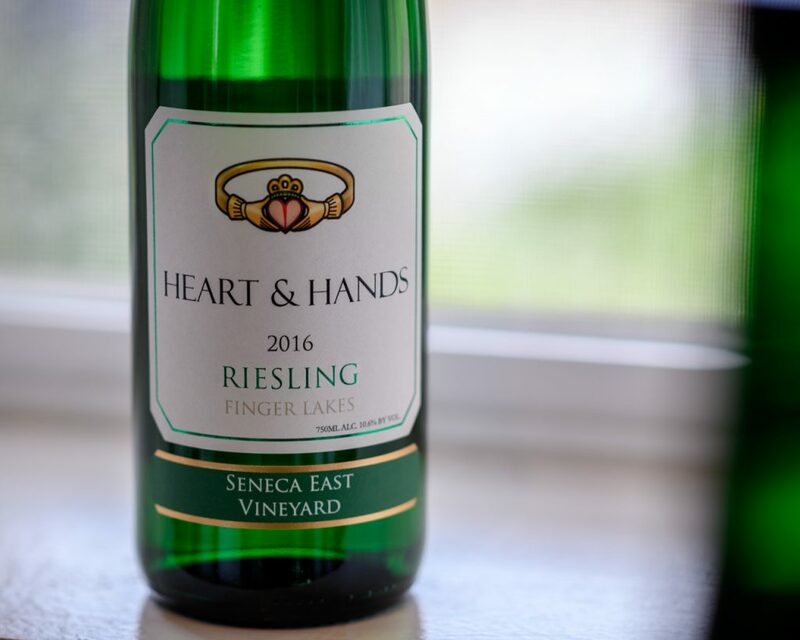 I personally love Finger Lakes Blaufränkisch as it offers the sweeter, riper blackberry and plum tones, while still paying homage to the cool climate with its mineral and cooler-toned palate. Another grape that plays in the same dark-fruited ballpark is saperavi. This Georgian grape (the country, not the state) is not new to tough climates and thus does well even in years with less than perfect conditions. The more people I meet, and the more I taste of the region, the more I am impressed by their dedication to their vines and wines. And I cannot wait to go back to the Finger Lakes – it is quickly becoming a home away from home. I have had Heart & Hands on my list of “must visit” since day one. However, I was unable to do so in prior years. 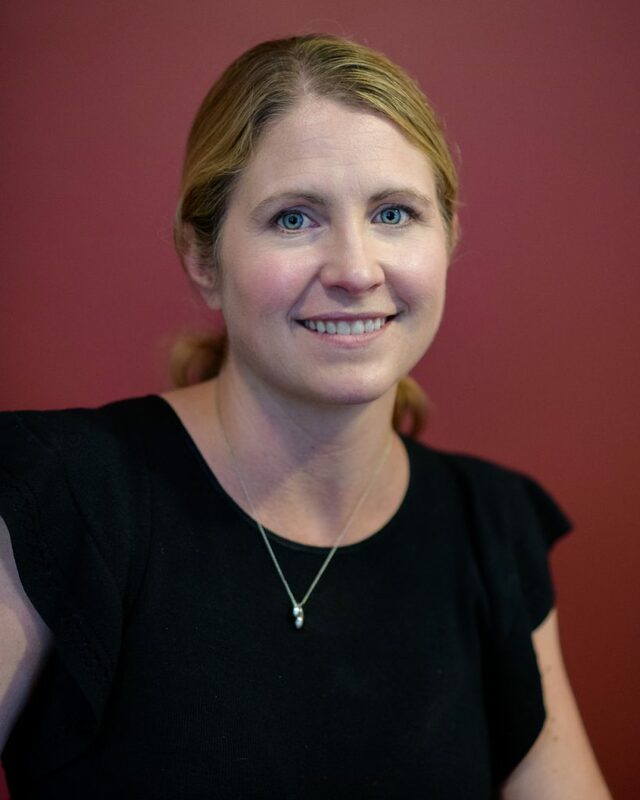 This year, it was my first stop – and I finally met Susan Higgins in person. We began our visit in the cozy tasting room, bathed by the afternoon light. We spoke about the sustainable farming that Heart & Hands practices, and the importance of the limestone in the terroir of the region. But, most importantly, we spoke about the wines. 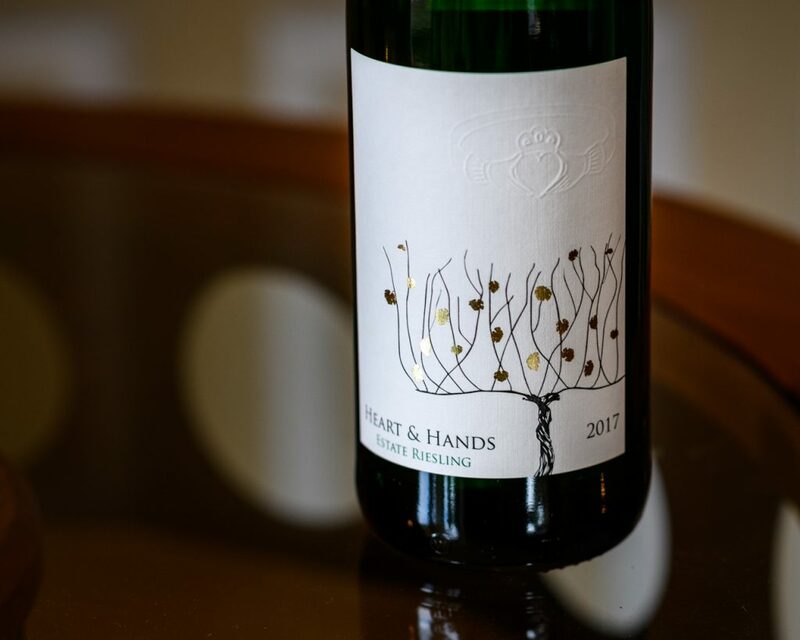 The light hand and the attention to detail come through in the bottle – the rieslings all had tension and bright freshness that speaks to my personal love for the grape. The pinots are aged in French oak, but again, the light hand showed through. While the oak added a layer to the bigger wines, it was never prominent, never up front. I am always on the lookout for riesling, and I was told this was the place to find it. So we punched the address into the GPS and we were on our way to Lodi (in the Finger Lakes not California). We were really lucky, not only did we get to spend some time with the owner, Bruce Murray, but we also were able to taste two mini-verticals. 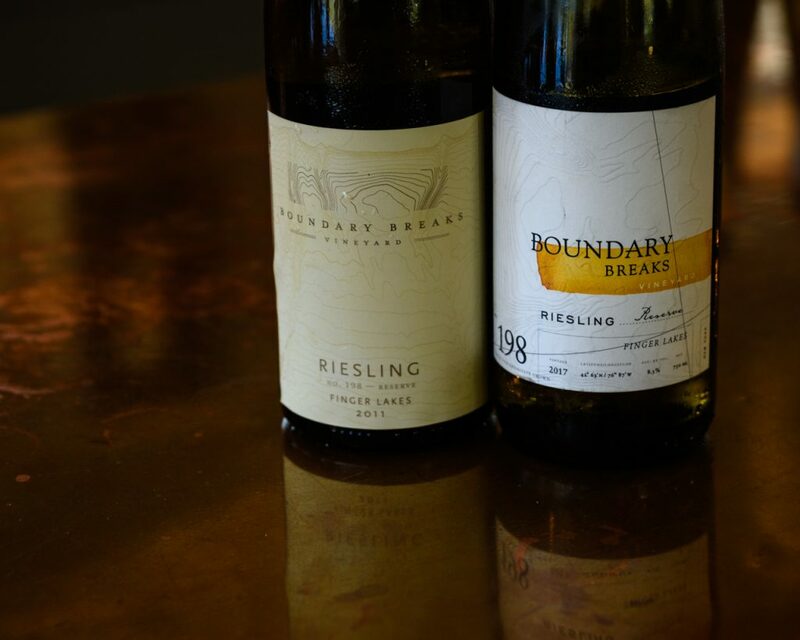 I really love how riesling ages, and I was impressed with the 2011s and the 2014s – they lost none of their vigor, while gaining complexity and starting to show touches of secondary development. I went back and forth between my preference, the #239 or the 198? For my palate, I went with the off-dry #198. I like the extra dollop of lemon curd in the middle and the aging potential it has. But there is no wrong choice here. 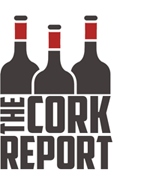 Enjoyed your reviews and comments on the people, their winery’s and wines. I too enjoy my visits to the region and Riesling has become one of my favorite wines. 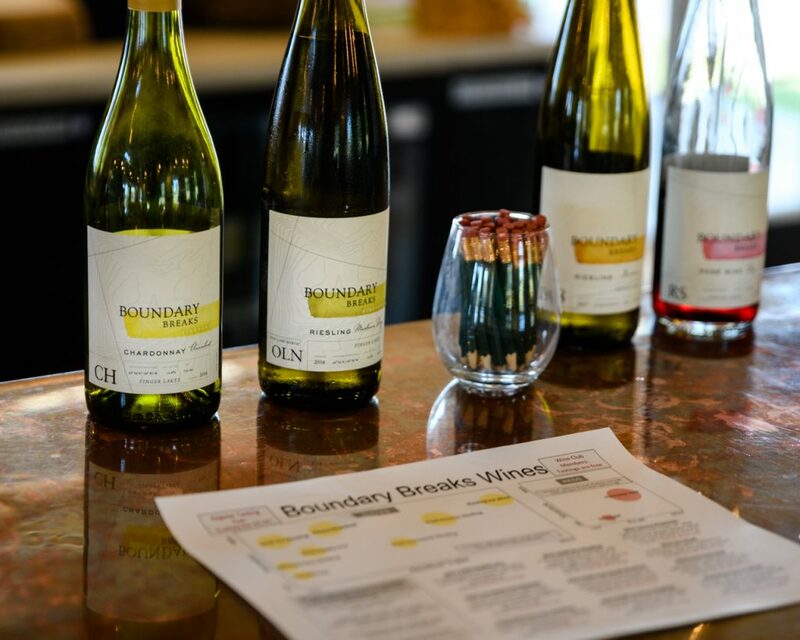 Some readers might wonder what the numbers on Boundary Break’s wines signify. They are making wines from selected clones and that adds another dimension to exploring their wines.